Welcome to our new-look website! 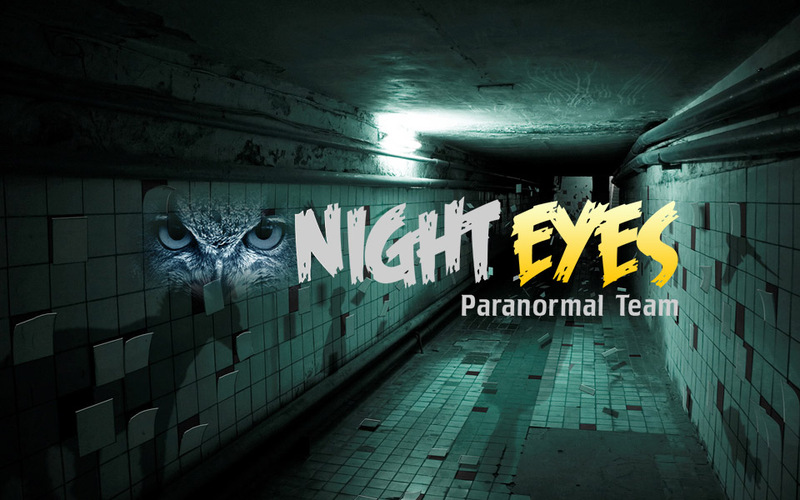 Night Eyes Paranormal is back! NightEyes Paranormal has been running for the last 7 years and as the founder I'm very pleased with how it's developed over the years. We have gained a lot of experience during this time and continue to learn with every investigation we conduct. We have maintained our integrity as scientific investigators throughout and although a couple of our team members are 'sensitive' to atmosphere and possible spiritual presence we continue to use scientific equipment rather than psychic guidance. Our main objective is to help people who are concerned about possible paranormal activity within their homes or indeed their places of work. If we are able to investigate and put someone’s mind at rest, then I feel we have achieved what we set out to accomplish. Our service is free of charge and we're a non profit making group. We provide a professional and free investigative service at your property. During the investigation we will be using cctv cameras, digital recorders, EMF meters and camcorders. We will perform vigils in active areas and try to encourage activity to establish any paranormal occurrences. Our team members will always conduct themselves in a professional and respectful manner. They are friendly and approachable and will endeavour to help you wherever they can. Our investigations are conducted during the night and usually we like to set up our equipment around 9pm to start for 10pm. We investigate until around 1am – 2am unless there is significant activity and our hosts are happy to continue. We don't conduct any spiritual activities such as seances, Ouiji board work, table tipping or glass work, nor do we use psychics or mediums. There is a lot of sitting around, calling out questions and encouraging responses. We will never be disappointed if there is no paranormal activity during our visit, this is how things go sometimes and we're fully aware that 'spirits' don't present themselves just because we are there! Once we have completed the investigation we will analyse the camera and audio footage and arrange a follow up visit to share any findings. For obvious reasons it is always advisable to arrange for the property to be empty apart from our host / hosts. If young children can spend the night away for the property during investigations then that will allow us to go about our business without having to worry about disturbing little ones. Some of our clients in the past have been worried about angering whatever is in their home. Our team members will never use aggressive taunting methods to obtain responses. We ask for contact in a friendly manner. As the founder of NightEyes Paranormal I am very steadfast about honesty during investigations. All our team members are fully aware of being 100% honest with their experiences at all times. It is of no use to any one concerned if any footage or personal experiences are not true. I am quite happy for nothing at all to happen or be found in our footage, it is never a waste of time and adds to our experiences. We are fully insured to carry out our investigations. Because we are non profit we expect a level of commitment when booking us for investigations. We understand that in some instances cancellations are unavoidable due to unforeseen circumstances. Our members give up their spare time to commit to an investigation so it's important to be sure you definitevly want us to attend before agreeing to it. We know that people can be very interested in the paranormal and understandably want to be a part of it but for us to conduct a private investigation properly we need our clients to be aware that inviting friends and neighbours to be present is not helpful and will ultimately affect any findings in our footage. If our client is uneasy and needs a friend, relative or neighbour to be with them, then that's fine, just not a group of people. An example of what I'm trying to say here is an investigation that was pointless as our client had invited a group of friends along who had been drinking for some time prior and getting giddy and excited. As you can imagine this did not make for a good investigation and didn't help with them taking photos with their phones constantly which impaired our investigation footage! Our team members gave up their time, expertise and expenses for what turned out to ultimately be a farce. We don't expect to be fed while we are with you so please don't feel the need to make sandwiches etc., we're more than happy with just a cuppa! Do you have any unexplained audio/visual footage that you’d like to share with the world? If so, feel free to post it below so we can check it out and give our verdict.